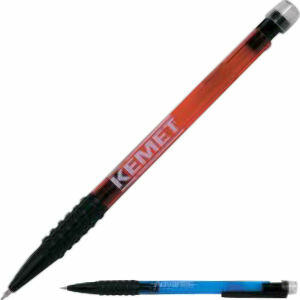 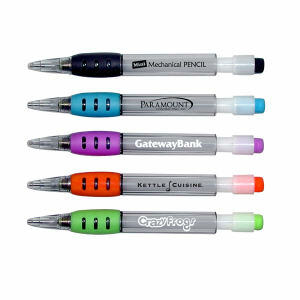 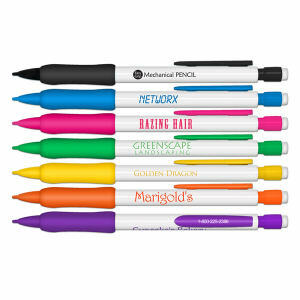 Custom promotional mechanical pencils are a popular alternative to traditional promotional pencils. 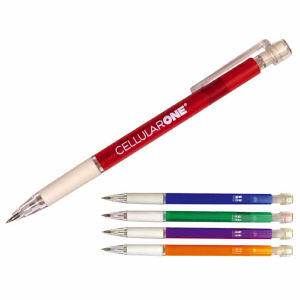 Promotional mechanical pencils are hugely popular with clients and colleagues who want to avoid constantly resharpening their pencils since custom mechanical pencils will always have a sharp tip! 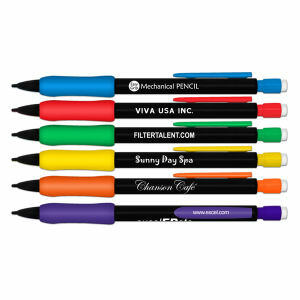 Stock your office with personalized promotional mechanical pencils, or use them as popular giveaways at trade shows. 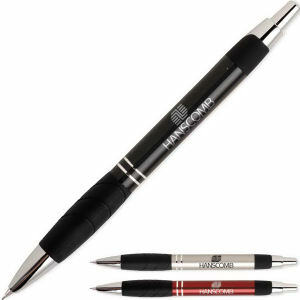 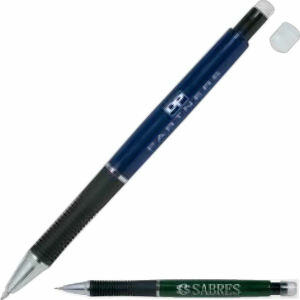 Offer clients a modern style of writing implement with IASpromotes.com's promotional mechanical pencils. 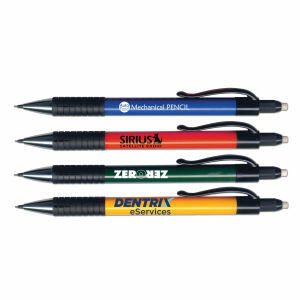 Our selection includes efficient and stylish designs for custom printing marketing campaigns, ideal for your company name and logo.